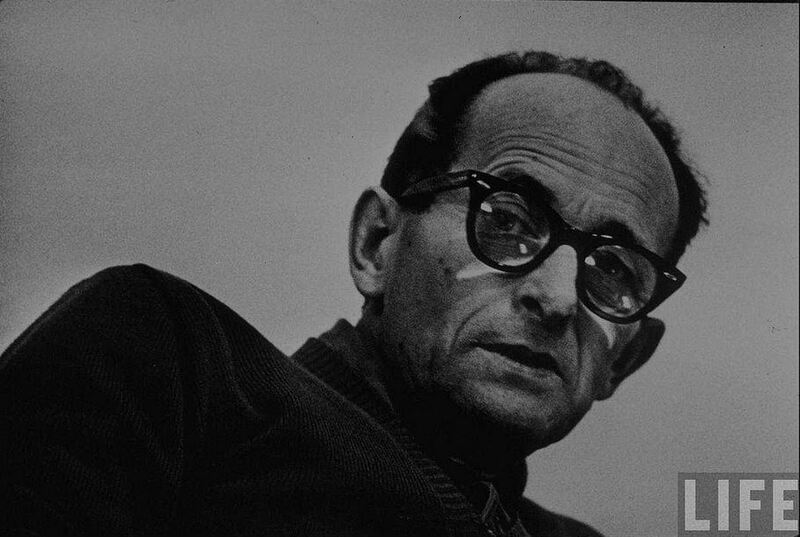 Just a couple of days ago, I shared a post about Hannah Arendt's commentary on the trial of the captured Nazi, Adolph Eichmann, in "Eichmann in Jerusalem: A Report on the Banality of Evil" . What struck her about him, was the unexpectedly meek bureaucratic demeanor of his thinking, which she famously called the 'banality of evil'. Arendt took a lot of criticism over that comment, from people who thought that her failure to call him out as the snarling and fanged monster which they'd expected, was somehow letting him off the hook. I can't help wondering if their desire to be presented with nothing less than a clearly identifiable monster mask, itself masked a desire to be kept from noticing those very real evils that our modern norms have been letting slip passed us, unnoticed in the street, the classroom and the workplace. The efforts of the UK's National Health Service (NHS) to put the infant Alfie Evans to death, is an excellent example of this (efforts which 'paid off' last night). "Our top priority therefore remains in ensuring Alfie receives the care he deserves to ensure his comfort, dignity and privacy are maintained throughout. This includes working closely with Kate and Tom as they spend this precious time together with him." "Everyone please calm down, and let us give Kate and Tom some quality time with their child, as we force them to stand helplessly by as we follow procedure and put little Alfie to death." This statement smacks of what Hannah Arendt described as Eichmann's ‘inability to think’, an inability to connect words to deeds in a logically coherent manner, not out of stupidity, but from an effort to evade intentionality. Can you not see the hospital's quote above, in her quote below? "I was struck by the manifest shallowness in the doer [ie Eichmann] which made it impossible to trace the uncontestable evil of his deeds to any deeper level of roots or motives. The deeds were monstrous, but the doer – at least the very effective one now on trial – was quite ordinary, commonplace, and neither demonic nor monstrous." , and within that, there lurks a devastating critique of our modern world's ability to mask even the most horrifying of evils - and putting a child to death in front of its parents under a pretense of caring, has got to rank high on such a list - wrapped in layer after layer of passively worded cliches, in such a way that our systems enable the vast majority of us to dismiss our concerns about what IS is, brushing aside 'middle class' concerns over what is and isn't true, and pooh-poohing notions of 'Right & Wrong' - that fog is what has slipped into all of our lives, as the purest of evils go unremarked under the cover of their concerning boring and irrelevant issues, totally unworthy of consideration. You see, IMHO, Eichmann's problem wasn't so much that he had an ‘inability to think’, as that he had chosen much earlier in his life, not to think, he had chosen to not bother with the business of integrating what he thought, with what he did, could, and should, know was in reality true. That is a choice - a lesson that is drilled into us to make from Kindergarten to College - which untethers your mind from reality, encouraging and permitting (in all of us) just about any action, so long as it doesn't cause a stir. Monsters, you see, are only monstrous because of how they appear, if someone looks and sounds like a monster, then they are a monster. But the real monsters of modernity work their horrors in the most unremarkable, mundane and utilitarian sorts of everyday actions, which we all thoughtlessly engage in, and people you probably have contact with every day, and those nice sounding policies which you might support, involve us all in choosing to produce these actions of purest evil, and they go unnoticed, because we've been taught to brush off that one thing which makes recognizing (or caring about) such evils a possibility for us - a decent regard for what is True. 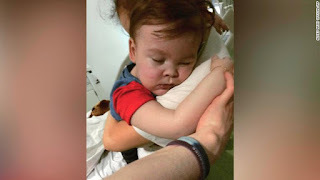 "...But a doctor treating Alfie, who cannot be named for legal reasons, said that for Alfie to be allowed home would require a "sea change" in attitude from the child's family, and they feared that in the "worst case" they would try to take the boy abroad...."
The concerns of the hospital and the helthcare system which a great many of Britain's people had clamored for, is for their well being. Systems have been drawn up and written down. Decisions are made according to its rules, far away in time and place from the human beings involved, so that totalling up lines 1 & 2 is all that will really matter, once the machine rolls around to the here and now. What is important to them, they've surely told themselves, is that their needs will be attended to, that's the important thing, so important in fact, that the results of lines 1 & 2 just might require the system to kill you, or your baby, for the greater good, in order for the NHS to ensure your comfort, dignity and privacy. And after all, such things are what's really important, right? "... a nation votes for socialist healthcare they are agreeing to let the government treat their lives as algorithms..."
"Sadly, Alfie – and little Charlie Gard before him – is doomed to be the sacrificial lamb at the altars of pride and socialism. Because what this is… this is nothing short of real, actual, genuine evil." The reality is, that once you remove the bureaucratese, and the media, and the politics, then what will be revealed to you is that whichever mask you've chosen to mask reality with, that of banality, or of a fanged monstrosity, what has been laying under either disguise, is what you've been trying to hide from all along: Evil.